JERUSALEM — U.S. Secretary of State Mike Pompeo told a Christian broadcast network that it's "possible" that President Donald Trump is like Queen Esther, who saved Jews in the Old Testament. 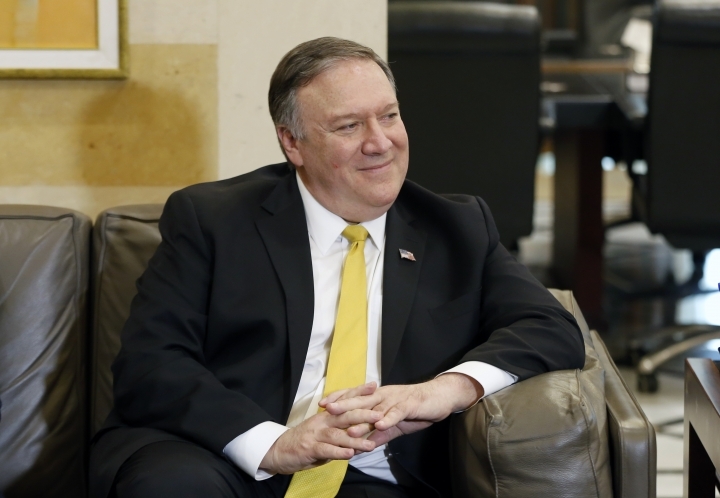 Pompeo made the statement Thursday in an interview with the Christian Broadcasting Network on his trip to the Middle East. The interviewer asked if Trump is "like Queen Esther," who interceded with her husband to save Jews in what was then Persia and is now Iran. Trump has backed new sanctions on Iran aimed at reducing its ability to threaten Israel. Pompeo said in response that "As a Christian, I certainly believe that's possible." The secretary of state recently drew criticism for holding a briefing exclusively for "faith-based" journalists. Pompeo on Friday vowed new measures against what he said was the "threat" from Iran.